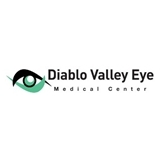 Diablo Valley Eye Medical Center (Walnut Creek) - Book Appointment Online! Our eye surgeons have enabled thousands of patients to enjoy better vision. Dr. Riedel, Dr. Dowling, Dr. Gilbert and Dr. McDonald are among the most experienced and well-trained eye surgeons in the country. They are passionate about the practice of ophthalmology, and thoroughly enjoy helping their patients protect and improve their vision. Collectively, they have performed thousands of surgical and laser vision correction procedures. They enjoy teaching courses at major universities to future Ophthalmologists.Additionally, they are dedicated to continually learn more about the specialty of Ophthalmology in order to provide their patients the best treatment available. Arrive a few minutes early to complete new patient paperwork (if applicable). I liked the large waiting room. Dr. Lomelino was friendly, timely, and professional.